Behind the sequins, feathers and lavish productions, these performers are seasoned veterans of the entertainment industry and consummate professionals that have been selected for their superior talents and diverse skills. The Dance Company's extensive list of themes and shows grows almost daily. Even though they are based in Toronto, their performances have taken them all over the world including such exotic locations as the Virgin Islands. Their commitment to providing the best entertainment in Canada has lead to The Dance Company being voted Entertainer of the Year by the Canadian Special Event Industry. 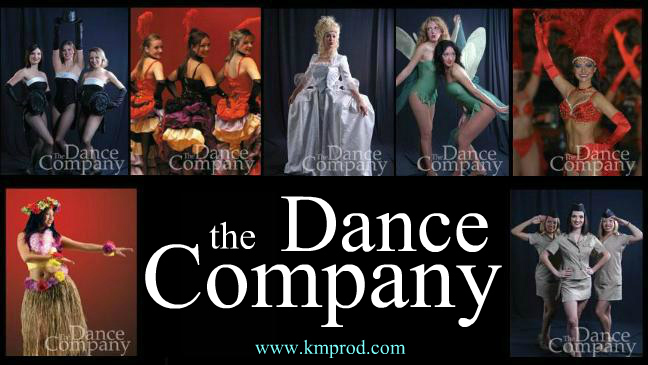 The Dance Company is represented by K&M Productions. For more information on booking The Dance Company, simply contact us.